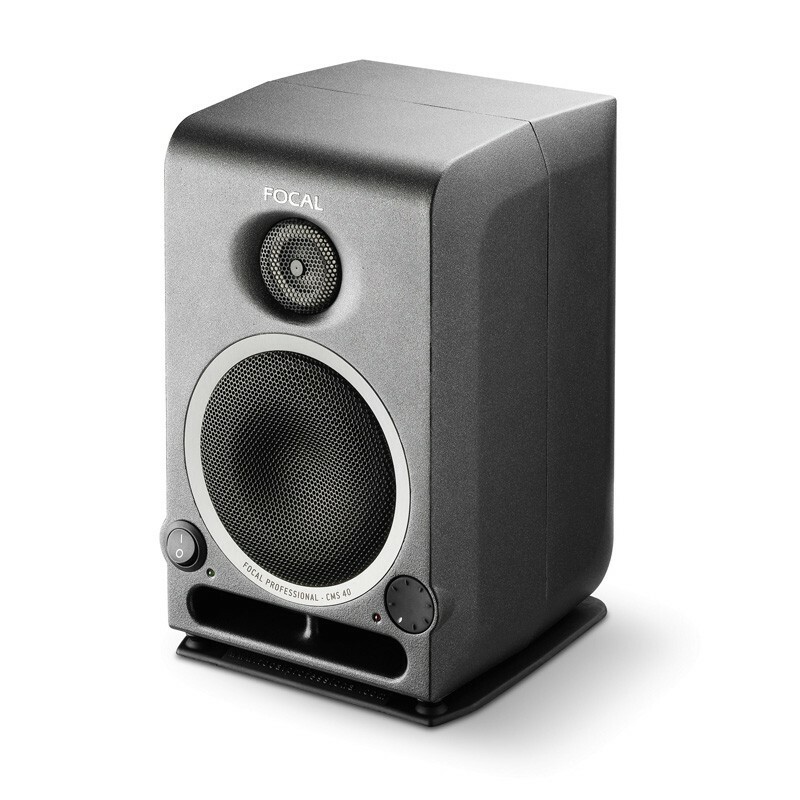 Spectacular and compact nearfield monitors from pioneering French loudspeaker manufacturer Focal. These took the 2010 Frankfurt MusikMesse by storm and rightly so. The clarity, power, and range of these modest sized and priced speakers is a thing of beauty. The word is ‘balance.’ The CMS40 delivers natural clarity and definition and displays excellent stereo imaging. Although there are adjustable controls on the rear panel it’s unlikely you’ll need to do much tweaking. This monitor’s size/extended bass frequency ratio ensures excellent versatility; guaranteeing ultra-realistic voicing, whilst offering optimum acoustic integration in a small room. The design permits a listening position from 16" (40cm), even in the least advantageous locations (ex. proximity to reverberating surfaces). The CMS 40 is the perfect tool for post-production and home studios (consider the 100w CMS 65 if you’re at all concerned about size/power). Even in the biggest and best studios, the CMS 40 is going to be an excellent second monitoring system, allowing you to quickly check how your mix is going to translates onto smaller speakers. A two-way active design with a letterbox front port, this 25w powered monitor delivers sound way above their size and power rating. The 4” woofer would seem to pose a challenge on the low end until you hear it. The Polyglass cone delivers both punch and exceptional clarity. The large front port lets you wall-mount the CMS 40 from 24” without any loss of control in the bass register. The cabinet constructed from reinforced and dampened Aluminum, with a black powdered finish, the CMS 40 looks - and is - modern, tough and stylish.